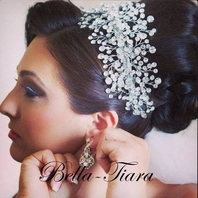 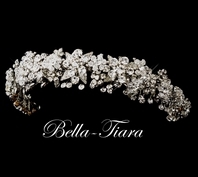 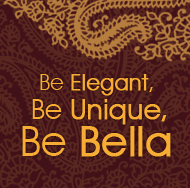 Description: This is a lovely alternative to a bridal tiara for your elegant hairstyle on your big day! 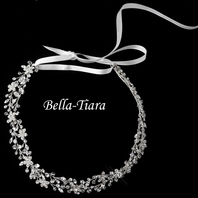 A charming ivory ribbon leads up to a stunning silver plated adornment fully encrusted with dazzling clear crystals. 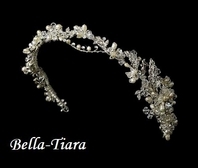 This unique headband style piece ties behind your head and would look fabulous on any classic, modern or vintage inspired bride with an ivory gown.